A fun interactive activity with Toni Morrison's Beloved chapters 19-20. Best for AP level classes. 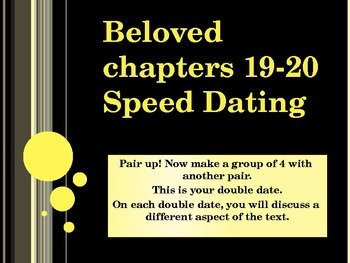 On " speed double dates" students analyze themes, motifs, characterization, and symbolism. My students have a blast with this every year!